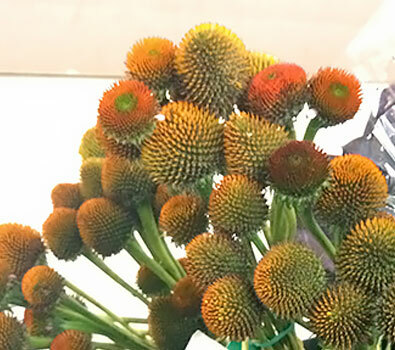 The Echinacea is a fun and versatile flower that can create a rustic garden feel to any arrangement. As a member of the daisy family, Echinacea’s appear to have a similar look. They have long slender petals with a large and vibrant rounded center. In wedding arrangements the petals are commonly pulled off, using simply the unique pods. These vibrant flowers begin blooming from early to late summer.